Stream anime episodes for free, you are watching Full Metal Alchemist: Brotherhood – Episode 10 English subbed online and free episodes. 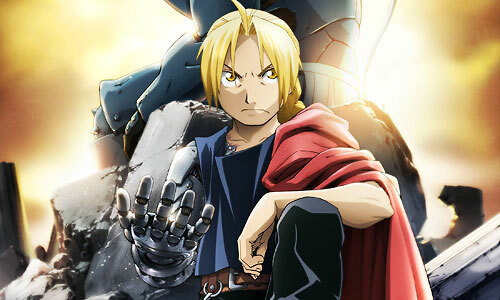 Anime Episode guide, Chapter Full Metal Alchemist: Brotherhood – Episode 10 English sub Separate Destinations Ed and Al decide to go to the town of Dublith to visit their alchemy teacher, Izumi Curtis, to ask her for information about the Philosopher’s Stone. They agree to take Winry with them when she notices that Rush Valley, a town best known for its automail shops, is on the way to Dublith.